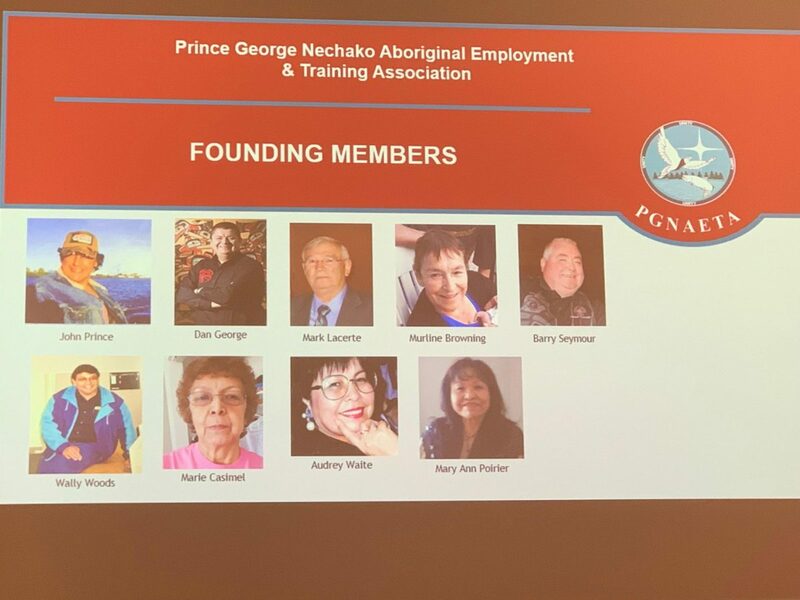 On March 14 & 15, 2019 the Prince George Nechako Aboriginal Employment and Training Association (PGNAETA) held a Spirit of Unity event to celebrate their 25th anniversary and continue to help connect Industries with Indigenous culture and employment opportunities. 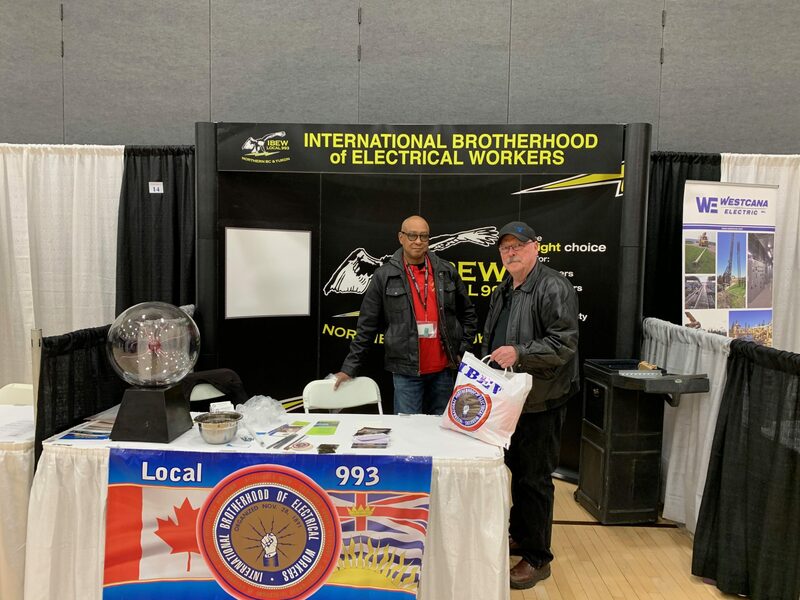 The IBEW Local 993 signed a partnership agreement at the last Spirit of Unity event and this year it was great to see Wescana Electric, IUOE Local 115, Sterling Crane, and the Northern Regional Construction Association become partners too. Proud and heartfelt recognition given at the Gala dinner of the founding members. 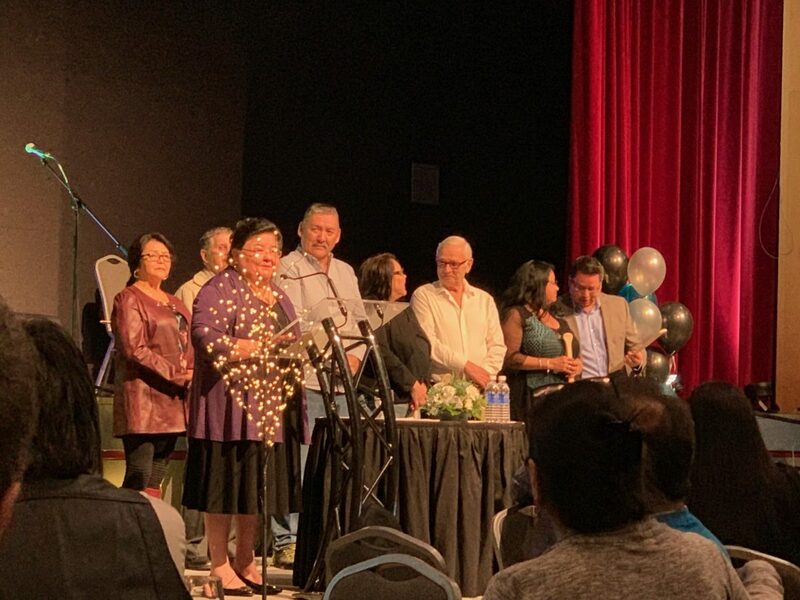 Great that many of them were able to attend! (PGNAETA Executive Director Karin Hunt at podium) Yes, the stars seem to follow her everywhere. 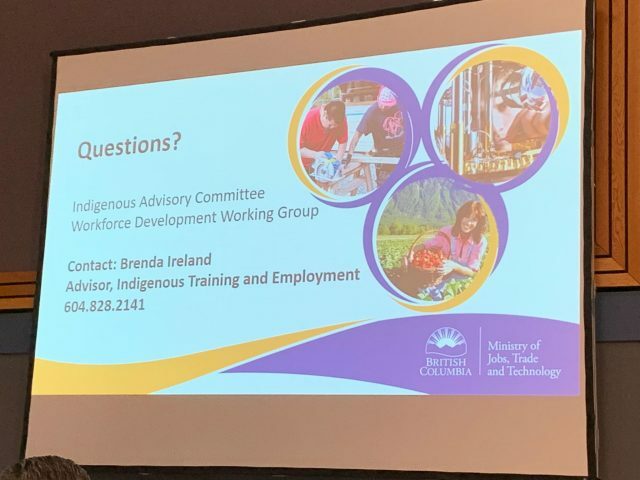 Many great great panels and speakers, including Brenda Ireland who had some great things to say about BC Building Trades. 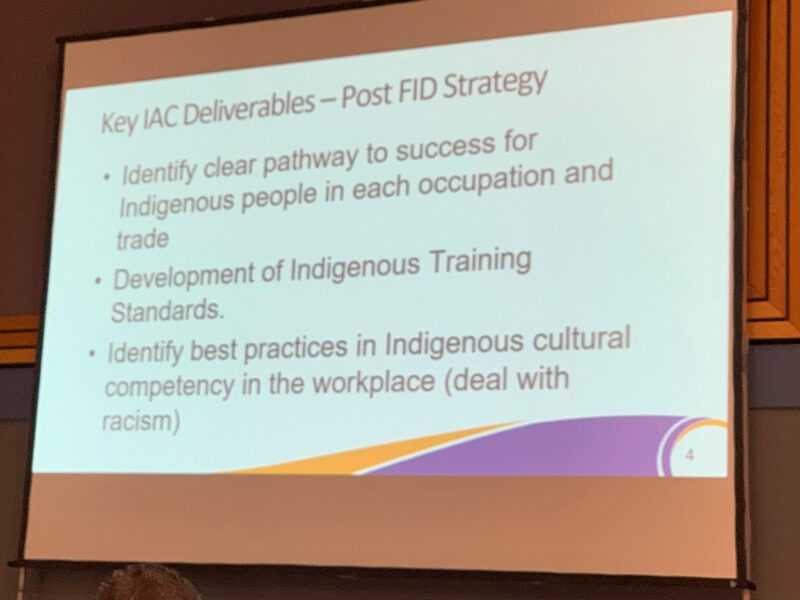 The Reconciliation Implementation Committee (RIC) is working with her and gladly accepting guidance on some tough realities and barriers still faced by many in today’s world. 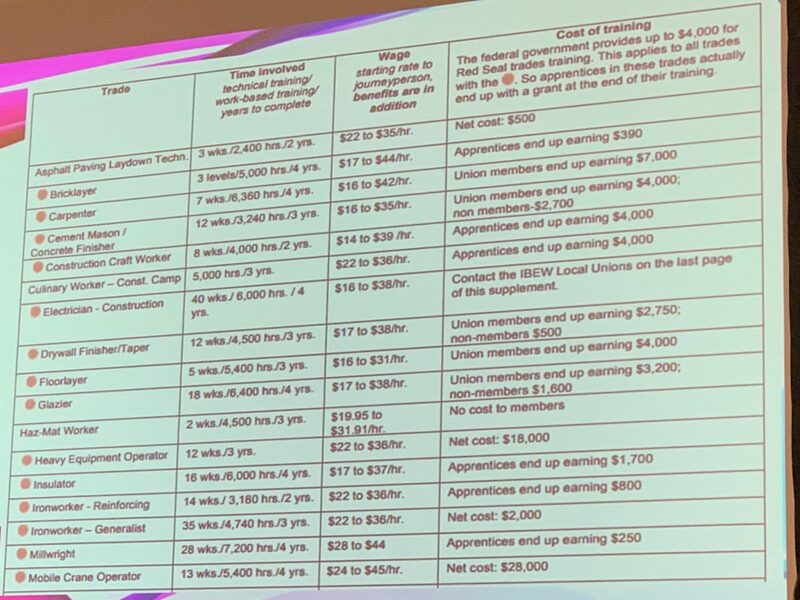 Also a great presentation surrounding the added value we bring by Tom Sigurdson of the BC Building Trades representing all building trades affiliates. Sorry Tom, my picture of you was too blurry to use so the next one is what we’ve been working toward as being equitable partners in the Industry. Pretty cut and dry in the 8th column down (right) to see who to contact. 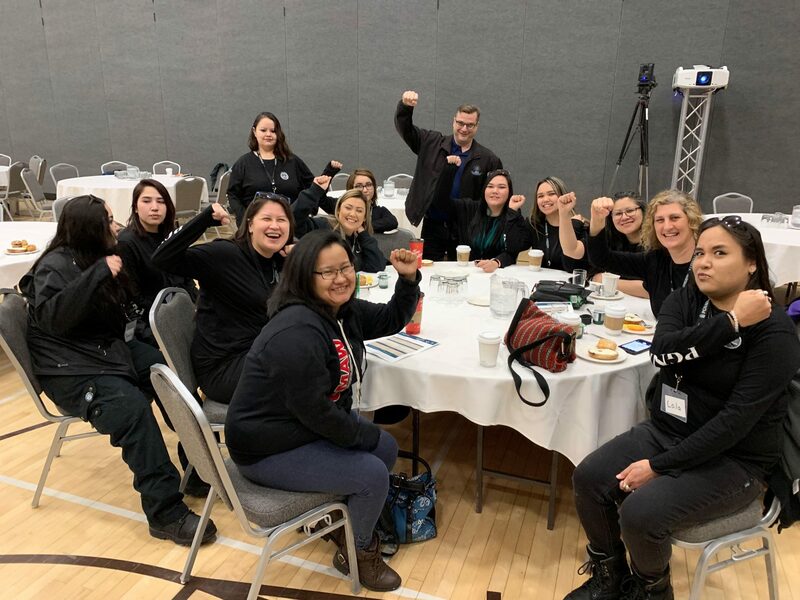 The “Power” pose while enjoying breakfast with the PGNAETA program Woman in Trades and Technology (WITT). I am arranging to present to their class in the near future as well.